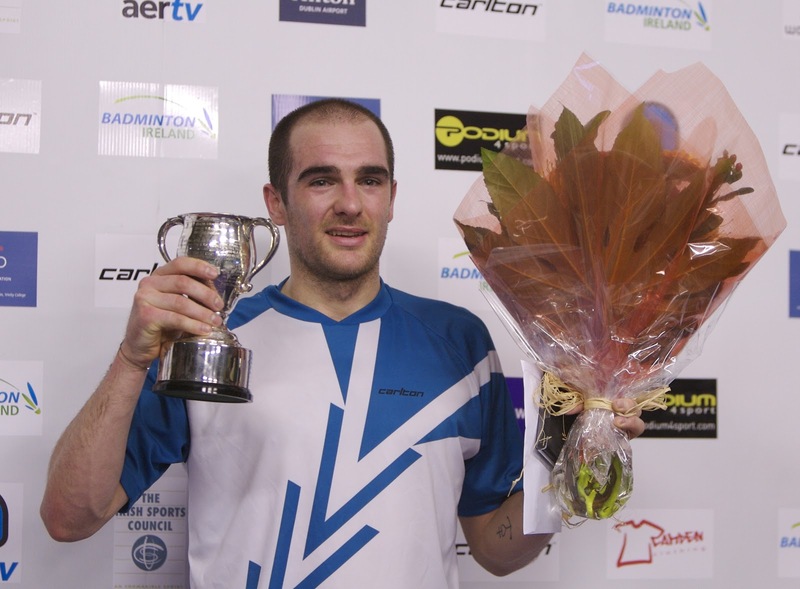 BADMINTON: What a great day for Irish sport! Double gold for Fionnuala Britton and the Irish women’s team at the European Cross-Country and a long-awaited victory for Scott Evans in the men’s singles at the Carlton Irish Badminton Open in Baldoyle. Evans made the final in 2008 when nerves shattered his dreams of taking the title. He has since made six other European tour finals but always been the runner-up – no wonder the tears flowed when he finally took the Irish Open title, 39 years after the previous Irish winner Colin Bell in 1973. It could easily have been a double, but Chloe Magee in the women’s final looked a tired athlete – and why wouldn’t she be after a long year that included an Olympic campaign. She struggled in her semi-final, just pulling it off, but the final proved one match too far. She’ll be back – in the meantime, our two badminton heroes deserve to put their feet up after a memorable year for the sport in Ireland. SNOOKER: After two intriguing rounds so far this season, snooker’s third ranking tournament is already underway at the Ivy Rooms, Carlow. David Hogan, from Nenagh, back in the amateur ranks after two years on the main tour, beat Newbridge junior Josh Boileau in the final of the first tournament. Longtime professional Michael Judge then gave a exhibition of top-class snooker to win the second tournament in Letterkenny, beating Brendan O’Donoghue in the final. Along the way, he had taken out Hogan and Boileau. These four are again the likely contenders for tomorrow’s final, with O’Donoghue the form man after a good campaign at the World Snooker Championships in Sofia Bulgaria where he went out to world U-21 champion Zhu Yinghui of China in the last 16. In the masters’ competition in Sofia, Mark Tuite narrowly lost to Australia’s Glen Wilkinson in the final. Away from the tables, Jim Lacey from Carlow was elected president of the International Billiards and Snooker Federation – a huge honour for Irish sport. HOCKEY: Hermes make a second attempt to play their postponed Irish Senior Cup second round match against Armagh tomorrow (Sun), weather again permitting. The winner will play Railway Union next month. Pegasus, the 2011 champions, play their postponed match against Catholic Institute, with the winners facing the defending champions UCD next month. In one round 3 match scheduled for this weekend, Corinthian play Ballymoney. In the Leinster women’s league today, Hermes play Railway Union (Sat). UCD currently top the division 1 table on goal difference from Railway. In the men’s league, Pembroke continue to stretch away from the opposition and have five points to spare on second placed Three Rock Rovers. Both teams have home matches today (Sat), Pembroke against Corinthian and TRR playing UCD. TRIATHLON: A record number of aspiring your triathletes turned out for last Sunday’s talent spotting day in Greystones, Co Wicklow. From the 110 applications received, 70 in the 12 to 23 age group were invited to take part in a swim/run time trial. Keeping a close watch were Olympians Aileen Morrison Reid and Gavin Noble, while helping out on the run were Bryan Keane, who has excelled not only as a triathlete but as a cyclist and athlete. Athlete Fionnuala Britton also helped supervise at the track. In the junior awards presentation that followed, Con Doherty, who finished third at the Junior World Triathlon Championships, was named junior triathlete of the year, also winning the junior national series title. Winning the women’s junior series was Emma Sharkey. VOLLEYBALL: League action resumes this weekend, with women’s table toppers DVC playing Santry in a critical match in Artane tomorrow. Clondalkin-based DVC are unbeaten so far this season and Santry, with one blip on their record after losing to Naas Cobras, are the only team with a chance of catching them. Another critical matches sees the Tallaght Rockets facing TCD away. Both teams have two losses so far this season and a win is vital this weekend. In the men’s premier division, table toppers UCD face second placed Aer Lingus at the Alsaa tomorrow in a match that could decide the premiership. SQUASH: Defending champion Madeline Perry and fellow professional Aisling Blake will miss out on the Irish Squash National Championships in Fitzwilliam LTC from December 21. Because the pair will be competing in the Women’s World Championships in the Cayman Islands at the same time, the women’s championships is rescheduled for next March. A women’s “Tour Event” will take place alongside the men’s senior, over 35 and over 45 championships in Fitzwilliam.